"The Clos des Cimes" is located at the foot of the Massif du Criou, in the great plain of Vallons. Many hikes from the cottages, winter cross-country skiing and snowshoeing 500 m from the chalet. 2 cottages are furnished and labeled Tourism & Handicap in a beautiful new chalet including the owners' homes and cottages in joint ownership. 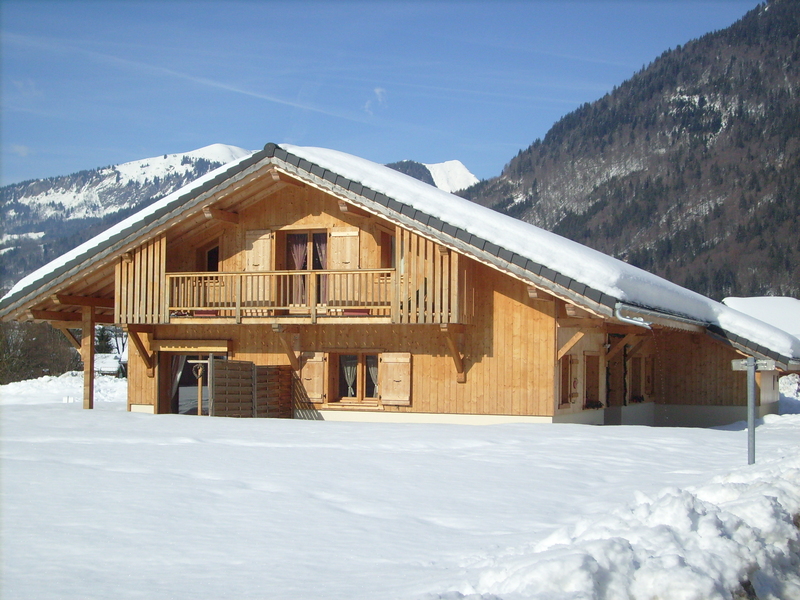 The chalet is built with ecological materials and uses renewable energies. Gîtes 4 persons *** (+1 child -2years) 40sqm. Ground floor, access to the terrace (garden furniture, deckchairs, barbecue). Large bedroom 1: 2 beds 90 cm can be twinned. Small room 2: 2 beds 80 cm bunk. Shower room with walk-in shower and WC. Beds made on your arrival. Cleaning fee at the end of the stay (50 euros) can be considered if you wish. Cuddle baby cuddle: available all the necessary baby (for children under 2 years): bed and sheets, high chair, bath, bottle warmer. Winter: 385 € > 650 €).